I believe Naturopathic Medicine has something to offer everyone to improve health and their quality of life. I found Naturopathic Medicine through a personal health crisis. I knew something was wrong, but I didn’t know where to start. I was mourned by the loss of health I had previously enjoyed and felt consumed by the daunting task of advocating for myself as I navigated the health care system looking for answers. I found them in Naturopathic Medicine, which gave me options, education, guidance, and – with some hard work on my part – change. I began to choose foods that nourished me, eliminate lifestyle habits that worked against me, and learned to interpret my symptoms as clues and messages instead of something to suppress. This experience of a whole-system, individualized approach to healthcare informs the way I partner with patients and collaborate with their healthcare practitioners. We use a thorough investigation into your health history, physical exam, and diagnostic lab testing where appropriate with the aim of collecting the pieces of the puzzle, identifying imbalances, drawing connections, and addressing the root cause of health issues to strengthen the body’s natural resilience. Ultimately, my work is to support, teach, and empower my patients in making sustainable changes to reach their health goals and put the control back in their hands. This patient-centered and collaborative approach is what I do best and why I chose this type of medicine. Find out more about what to expect in our first visit here. I have a general practice and provide care for the entire family, helping patients with a variety of health goals achieve positive change in their health and live life to the fullest. As an entrepreneur and a mother, I have a special interest in helping busy professionals and parents prioritize their own health needs and goals. You take care of everything and everyone else, but do you make time for you? As a former professional musician, I have a special interest in optimizing the health and performance of musicians and other performing artists, supporting a state of injury-free creative expression. Your body is your tool of the trade! Investing in your health is investing in your art. I am a mom to two young, active children and one furbaby and love spending time with them outdoors. I am an avid babywearer and textile admirer. I’m an ever-learning gardener and interested in the art of foraging and wildcrafting herbs and edible plants. I love singing the harmony part to the song on the radio and revel in a good trombone solo. In my spare time, I enjoy reading and experimenting with healthy food (and sometimes not-so-healthy food) and feeding friends and family. I am currently accepting new patients at my downtown Ottawa clinic space and at the Optimal Health Chiropractic & Wellness Centre on St. Laurent. 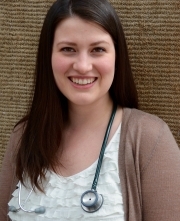 Dr. Jola graduated from the Canadian College of Naturopathic Medicine’s four-year degree program following the completion of her undergraduate degree from the University of Toronto. She is a Naturopathic Doctor registered with the College of Naturopaths of Ontario (CONO) and member in good standing with the OAND and CAND. As part of her naturopathic degree, Dr. Jola completed a 12-month internship at the Robert Schad Naturopathic Clinic, Brampton Naturopathic Teaching Clinic in the Brampton Civic Hospital, and the Sherbourne Health Centre, where she completed focus shifts with additional training and experience in managing Myalgic Encephalitis/Chronic Fatigue/Fibromyalgia, integrative health provision in HIV/AIDS, and weight loss. As a student, Dr. Jola participated in a medical brigade Nicaragua to provide primary health care and learn about issues surrounding global health and access to care. Dr. Jola has completed Naturopathic Doula training, and although she is not taking Doula clients at this time, this knowledge and training informs her approach to healthy pregnancy, labour, and birth with her fertility and pre and postnatal patients. As a practitioner, Dr. Jola is a perpetual learner, continually researching, taking continuing education credits, attending seminars, and committed to applying the most current and relevant information to her patient’s concerns. Upon graduation, Dr. Jola received CCNM’s Humanitarian Award for her work and advocacy in fostering change and accessibility within the school and student body as well as the Naturopathic profession. The short answer: Naturopathic Medicine is a primary health care profession that combines the years of traditional and holistic medicine with modern day research to apply natural, non-invasive, and highly individualized treatments in a way that targets the root cause of a health concern while supporting and encouraging the body’s own ability to heal. Naturopathy is safe and effective care from birth through retirement. The long answer: Naturopathic Medicine is a system of primary health care that addresses the underlying causes of disease, emphasizes prevention, honours the self-healing process, and engages the patient and practitioner in a therapeutic relationship. This philosophy addresses the whole person, not just an isolated set of symptoms. To illustrate using a metaphor, Naturopaths are your body’s master gardener. In order to keep a plant healthy, you need to support the basic and essential foundation: the roots and soil. Similarly, if a plant is not healthy, gardeners know to return and address these same foundational elements. Naturopathic medicine approaches patients in the same way, spending time particularly addressing the foundational elements of daily health: nutrition, sleep, movement, and genetics. Predisposition, triggers, and physiological processes can affect the roots and soil and result in imbalance or dysfunction at the stem, working its way to the leaves or flowers. This change in leaves, representing the signs and symptoms that we group together and call disease, is often what is addressed first in the conventional healthcare system through pharmaceutical prescription. While palliation of symptoms may be necessary part of therapeutic treatment, it neglects the fundamental aspects of health that reside in the roots of the plant. Not all plants or patients with similar symptoms have the same imbalance at the root level. Naturopathic medicine aims to provide proactive and personalized assessment, treatment, and prevention of chronic health issues while taking into account the needs, goals, and unique considerations of the individual. Naturopathic therapies are supported by research drawn from peer-reviewed journals from many disciplines, blending centuries-old traditional knowledge and philosophy with modern leading-edge research on health and human systems. The Naturopathic Toolbox is eclectic and includes modalities such as diet, nutritional supplementation, lifestyle or environmental modification, herbs, acupuncture, counselling, mind-body practices and visualization techniques, hydrotherapy, and homeopathy. When appropriate, NDs may recommend laboratory testing in-house or through a lab. Naturopathic Doctors have attended a four-year accredited naturopathic medical school that requires a previous bachelor degree and university-level science pre-requisites. NDs are clinically trained with over 1200 hours of internship in various clinical settings such as private clinics, hospitals, and community health centres. Naturopathic Doctors work in all aspects of family health, from pediatric to geriatric care. ​Naturopathic Medicine successfully addresses a number of health conditions and concerns, including but not limited to fatigue, pain, hormonal imbalances, thyroid conditions, menopause, PCOS, infertility, weight gain, digestive disorders, irritable bowel syndrome & bloating, Crohn’s & colitis, constipation, allergies & autoimmune conditions including rheumatoid arthritis, lupus, celiac disease, psoriasis, and more.